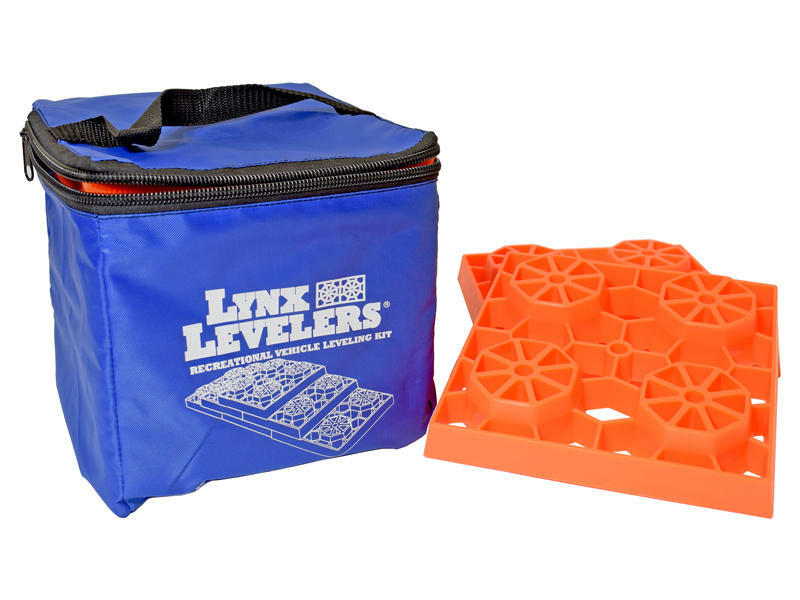 Modular designed levelers not only configure to fit any leveling function, but they also withstand tremendous weight. To use: simply set them into a pyramid shape to the desired height that the RV needs to be raised and drive onto the stack. 8-1/2" x 8-1/2" with 1-1/2" thickness to give 1" lift. The 10 pack comes in an easy to store nylon bag and weighs less than ten pounds.